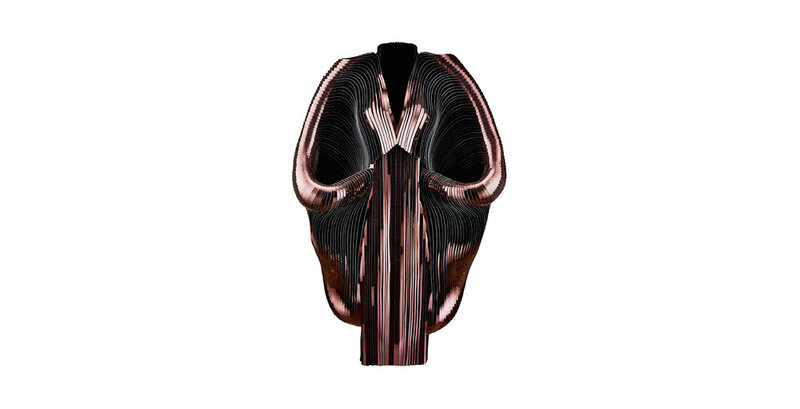 Iris van Herpen: Transforming Fashion surveys 15 collections of the dynamic, innovative work of the Dutch designer. 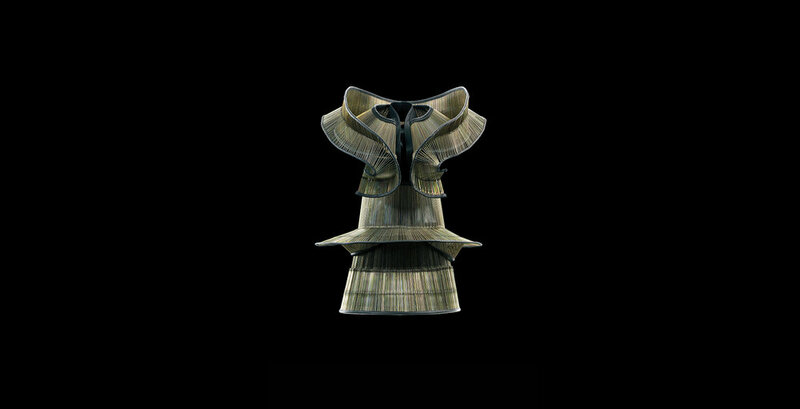 Van Herpen, widely regarded as one of fashion’s most forward-thinking creators, continually pushes the boundaries of fashion design, often hailed as a pioneer in utilizing 3D printing as a garment construction technique. Featuring 45 ensembles created from 2008 – 2015, the minimalistic installation will also include a selection of her fantastical shoe designs and runway show footage. A featured work is the dress from her 2014 collection Biopiracy purchased by Arizona Costume Institute to celebrate the 50th anniversary of the fashion design collection and the organization on view at Phoenix Art Museum for the first time. Iris van Herpen: Transforming Fashion is co-organized by the High Museum of Art, Atlanta and the Groninger Museum, the Netherlands. The exhibition was curated by Sarah Schleuning, High Museum of Art, and Mark Wilson and Sue-an van der Zijpp, Groninger Museum. Its Phoenix premiere is made possible through the generosity of Arizona Costume Institute, Miriam and Yefim Sukhman, and APS, with additional support provided by the Joan Cremin Exhibition Fund. 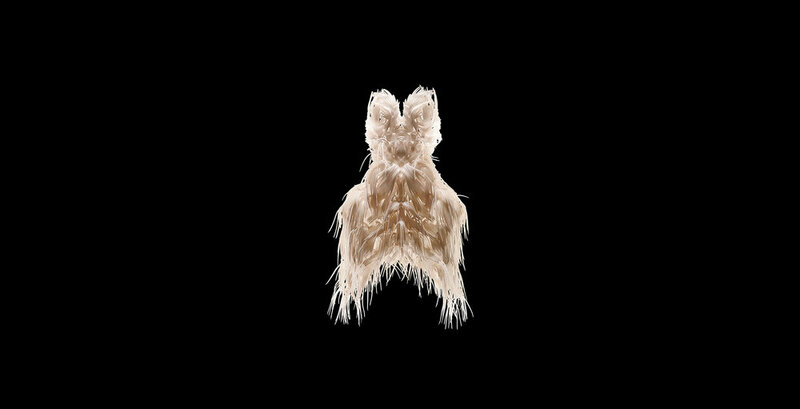 Iris van Herpen: Transforming Fashion is co-organized by the High Museum of Art, Atlanta and the Groninger Museum, the Netherlands. The exhibition was curated by Sarah Schleuning, High Museum of Art, and Mark Wilson and Sue-an van der Zijpp, Groninger Museum. Its Phoenix premiere is made possible through the generosity of Arizona Costume Institute, Miriam and Yefim Sukhman, and APS, with additional support provided by the Joan Cremin Exhibition Fund and Lloyd and Sharon Powell.